Think this might have been my favorite experience thus far. I keep thinking about it and since I’m listening to the Beatles on the train to Agra, I feel compelled to write about it. 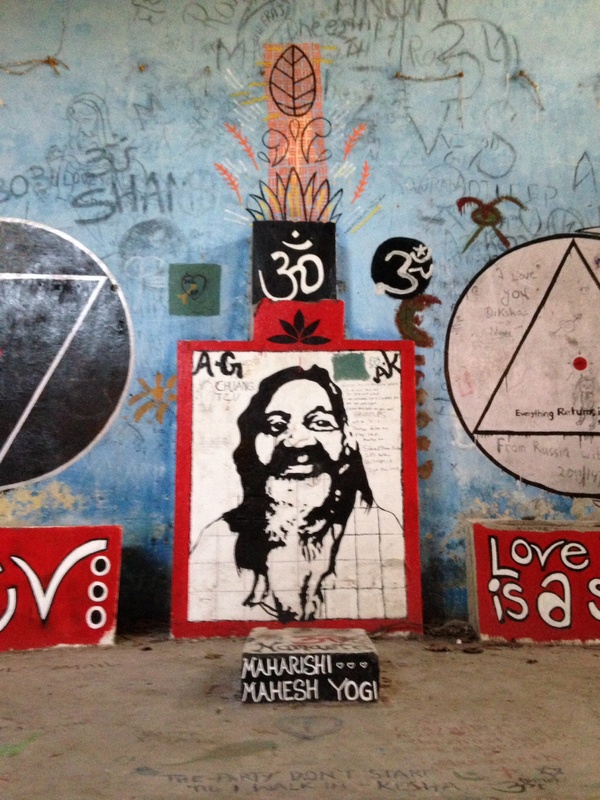 Maharishi’s ashram was just around the corner from where I stayed in Rishikesh. Sadly, it’s been closed for a number of years and has since been damaged, vandalized and ripped of anything that would be of use to the locals (i.e. windows, light fixtures, etc). Apparently, Maharishi abandoned the property when he retreated to the US to share his knowledge and wisdom of transcendental meditation with westerners. 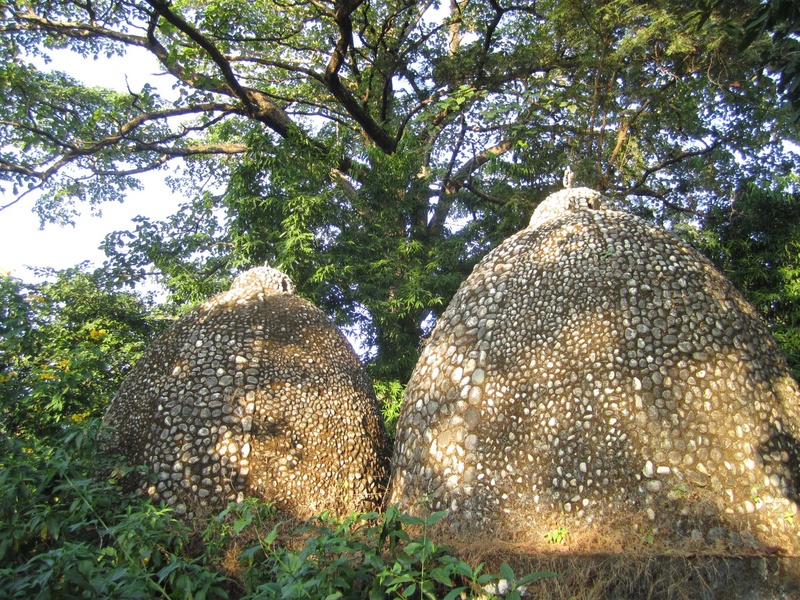 After it was vacant for a number of years and vandalism occurred, the government took ownership in an effort to preserve what remained of the holy sanctuary. It is prohibited to enter the property but our trusty tour guide Sachin showed us the back way. At first, I was reluctant and hesitant to enter the premises as my rational mind got the best of me. In retrospect, I didn’t have anything to worry about. 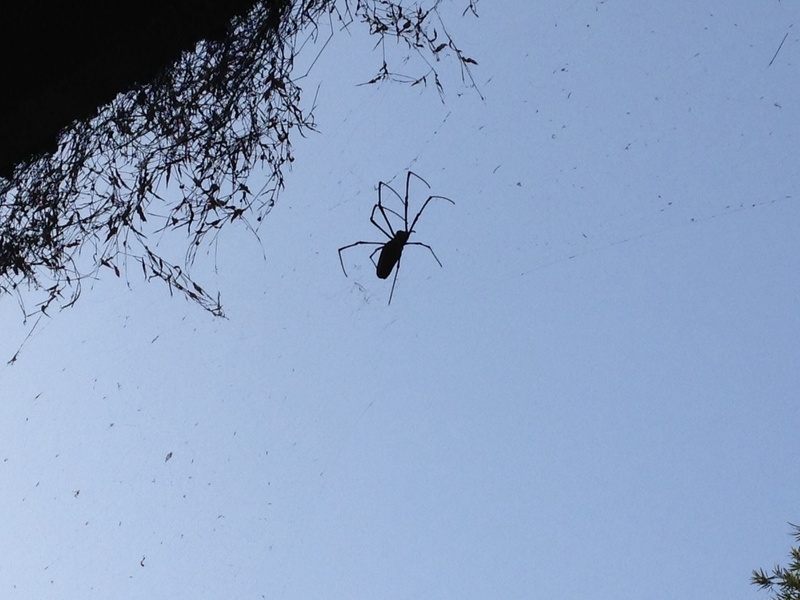 I don’t think I saw one person of security or authority the entire 10 days I spent in Rishikesh but we did see these crazy spiders. 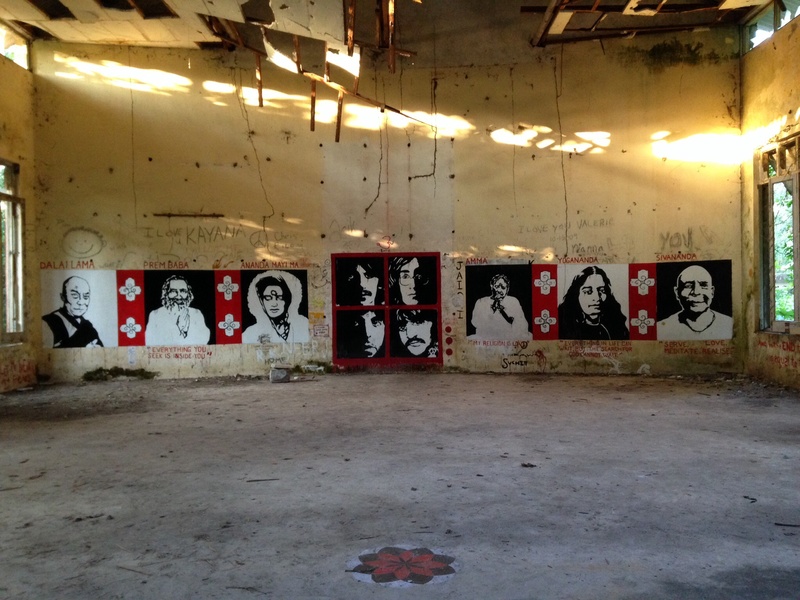 Sachin was born at the ashram and told us stories of his childhood growing up there. 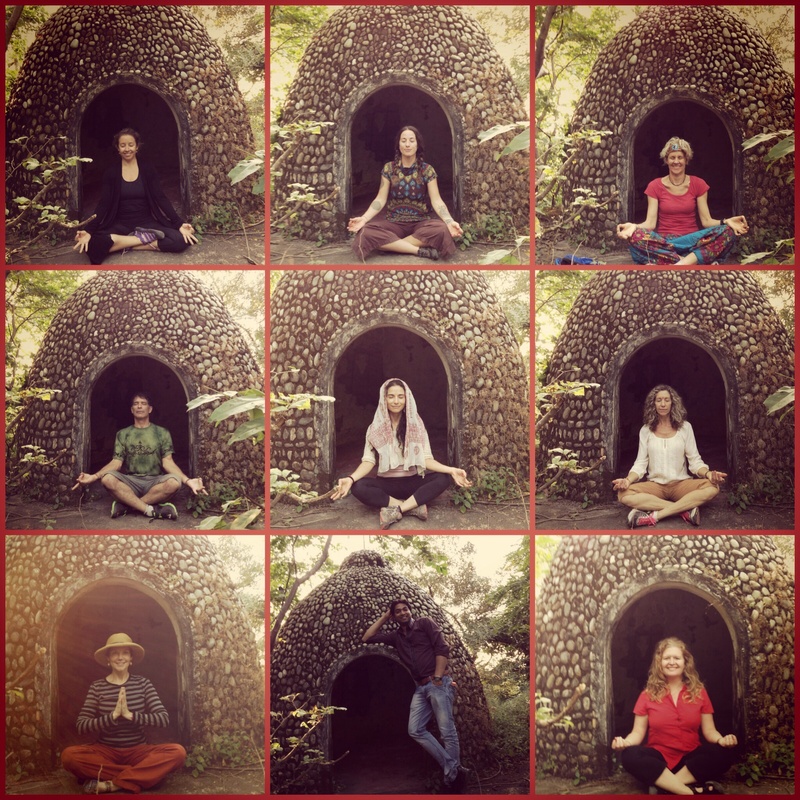 He took us into one of the 80+ caves and we practiced meditating like George, Ringo, Paul & John had once done. In typical Indian male fashion, Sachin found it more suitable to pose like a catalog model. The grounds were full of little nooks and crannies where the caves stood strong. 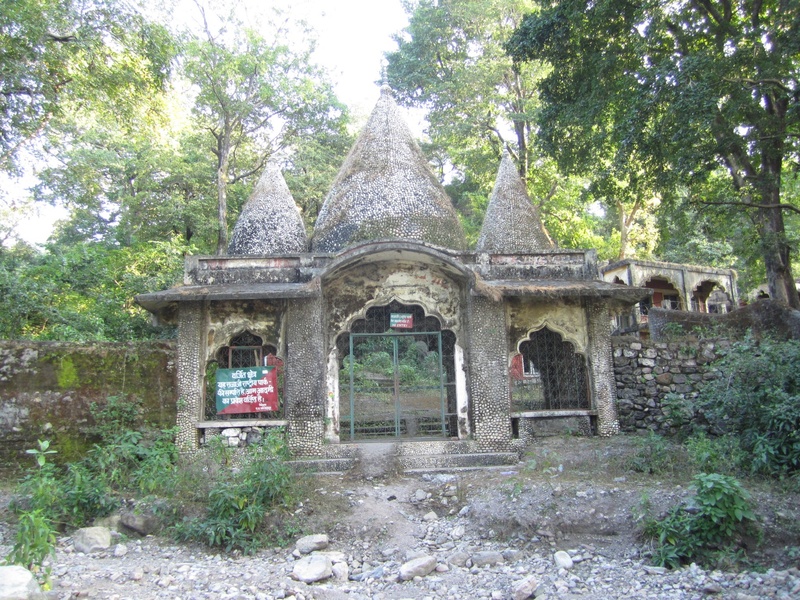 We walked through a maze of caves to find the main building where Maharishi resided. Built with marble and stone, I tried to picture how lively and luxurious this place once was. 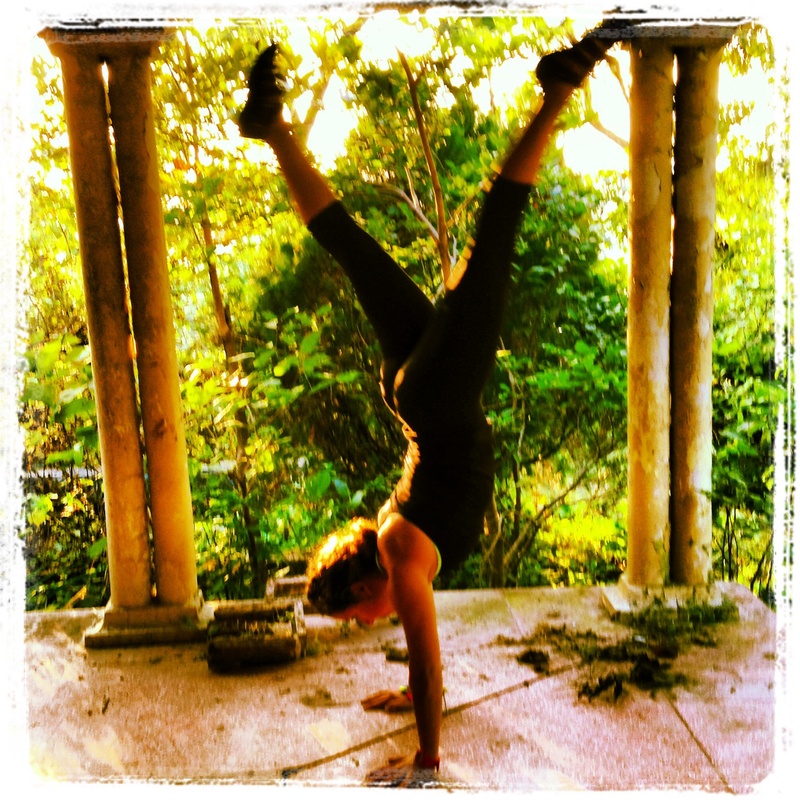 In reverence to the forgone community, I tried to perfect my handstand. A few meters away, we entered a spacious high ceiling room that was probably used for congregations, satsangs and kirtans. 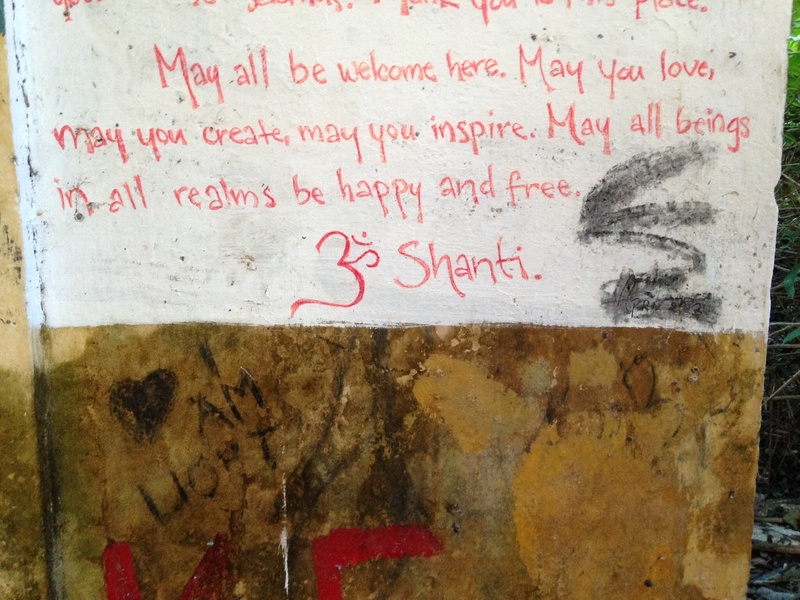 The space is now adorned with graffiti art of visitors who painted and wrote all over the walls to honor the memory, history and legacy of the ashram. This was where the community came together back in the day and it was very cool to see the community still present, shown with heart, art and spirit. 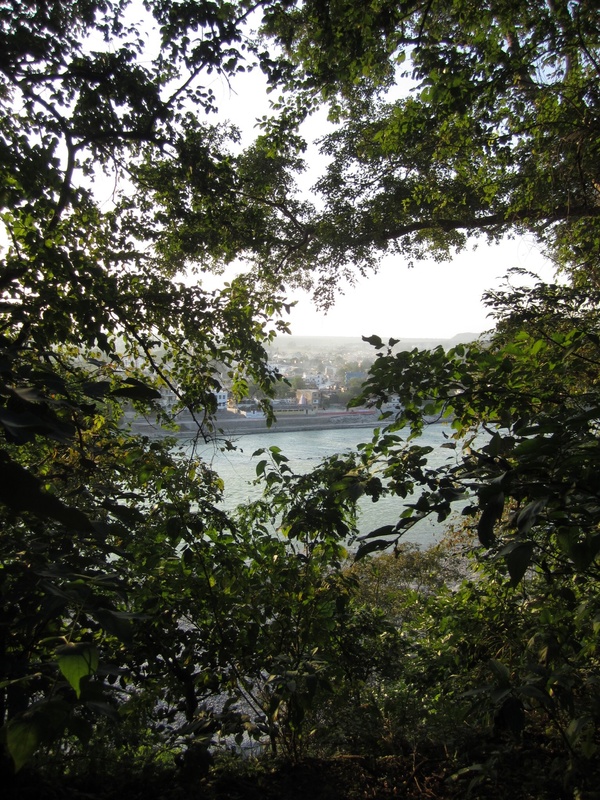 As we left the grounds of the ashram, the nine of us were walking out in two separate groups at two different paces. I started singing one of the Beatles songs and my group quickly joined me in song. Soon after, the group behind us started singing another Beatles tune as well. It was the most enjoyable and magical experience I’ve had so far. So lucky to have felt the love, warmth and magic of this historical place. Great job encapsulating the experience of being in Sachin’s Ashram (as I call it…) It was wonderful to experience it with you and our group, and to know that little Sachin was a kid in this sanctified place.